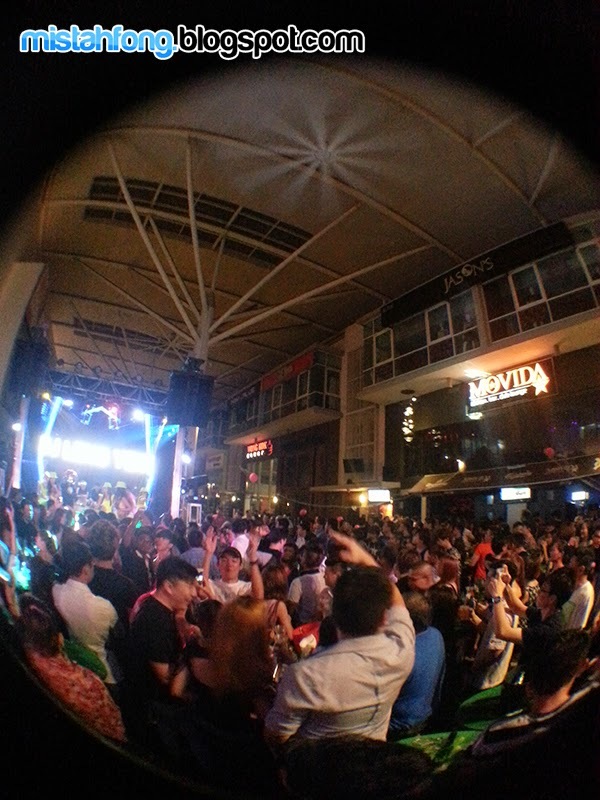 MOVIDA KITCHEN.BAR.CLUB LOUNGE culminated this year’s anniversary celebrations with a grand finale party at its flagship outlet in Sunway Giza, with 10 mini lucky draw winners having a chance to win the grand prize of a brand new Hyundai i10 car. “We are amazed at MOVIDA’s success in the last few years and it’s all thanks to our loyal customers who have never stopped to support us, day in and day out. 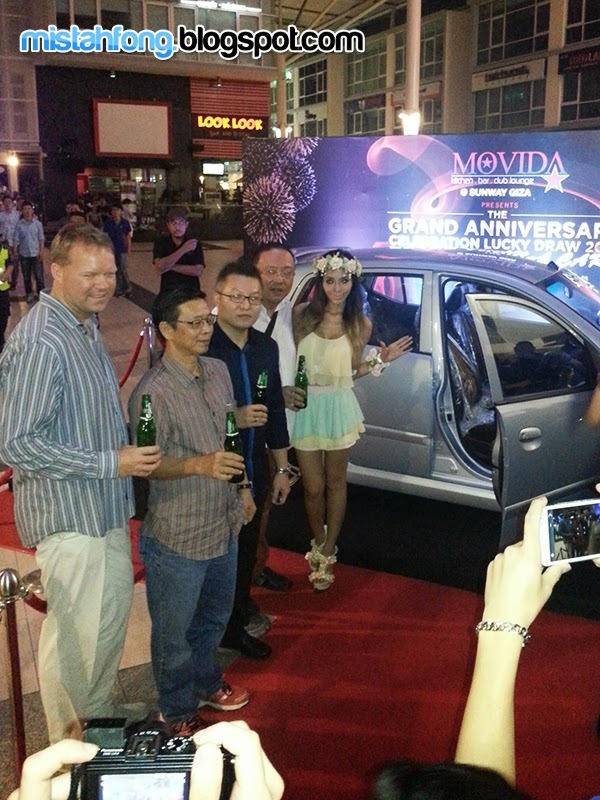 That is why this year we are offering more than RM100,000 worth of prizes for lucky draw winners, with the grand prize of a brand new car,” said Roger Hew, the brainchild behind MOVIDA. Throughout the years, MOVIDA has formed a successful partnership with Carlsberg Malaysia, which is the beer sponsor for the Grand Anniversary celebration. Henrik Andersen & Leng Yein.. 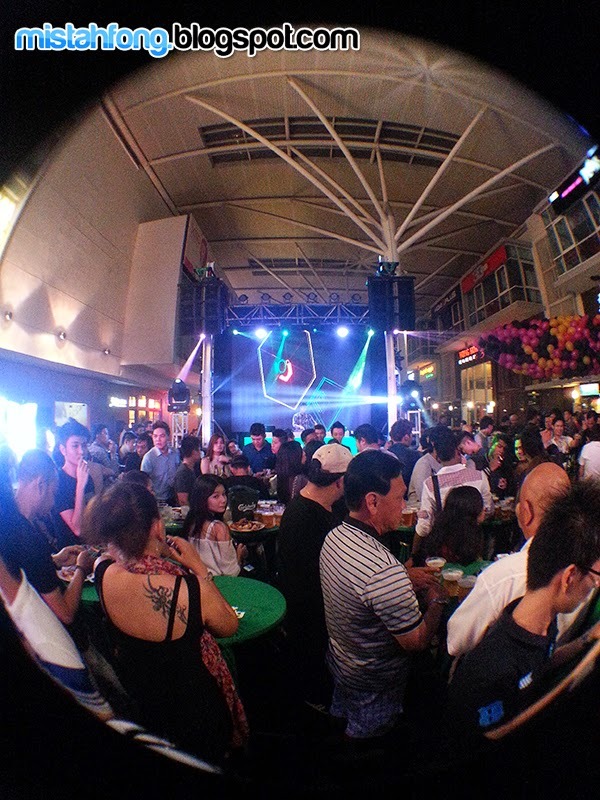 Thus, Carlsberg Malaysia is proud to be part of MOVIDA’s anniversary celebration this year. MOVIDA has been a strong supporter of Carlsberg Malaysia and its success in such short span of years is truly remarkable especially in such a competitive food and beverage industry. “MOVIDA truly exemplifies a GREAT business partnership that we aspired to achieve,” said Henrik Juel Andersen, Managing Director of Carlsberg Malaysia. Lucky draw session with Henrik Andersen, MD of Carlsberg Malaysia..
MOVIDA has successfully differentiated itself from the rest of the pack with their outstanding customer service and creative product offerings, such as food pairings with different types of beer. 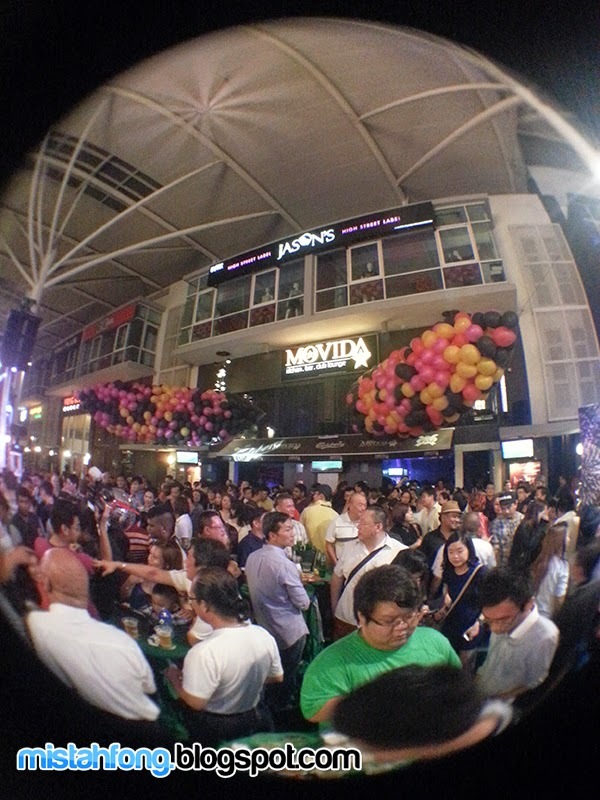 As a result, MOVIDA is a well known spot for lunches as well as a popular hangout place in the evenings. 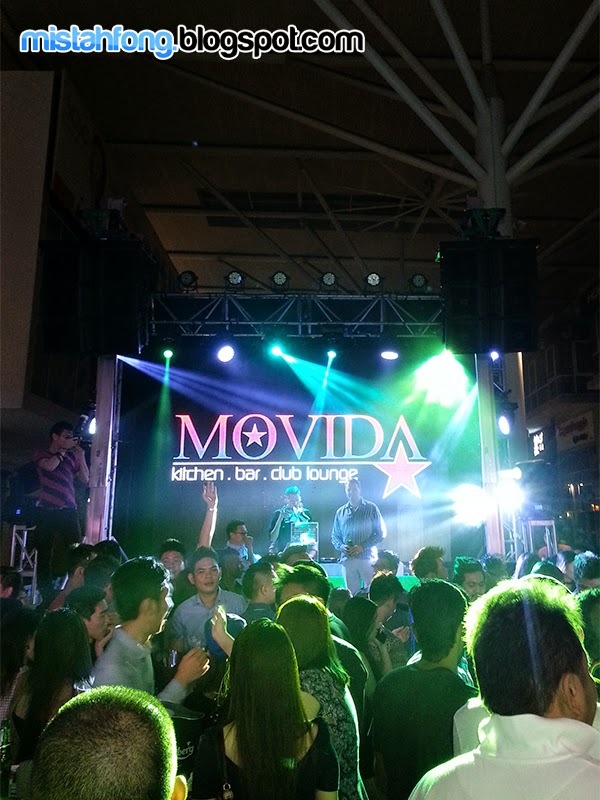 MOVIDA, which means ‘party’ in Cuban street slang, first started operations in 2010, the same year it was, recognised as one of the Top Ten Best F&B outlets by Hospitality Asia Platinum Awards. Business boomed thanks to the FIFA World Cup championship in 2010 and since then, MOVIDA has opened another six outlets, of which five are within the Klang Valley and one in Malacca. 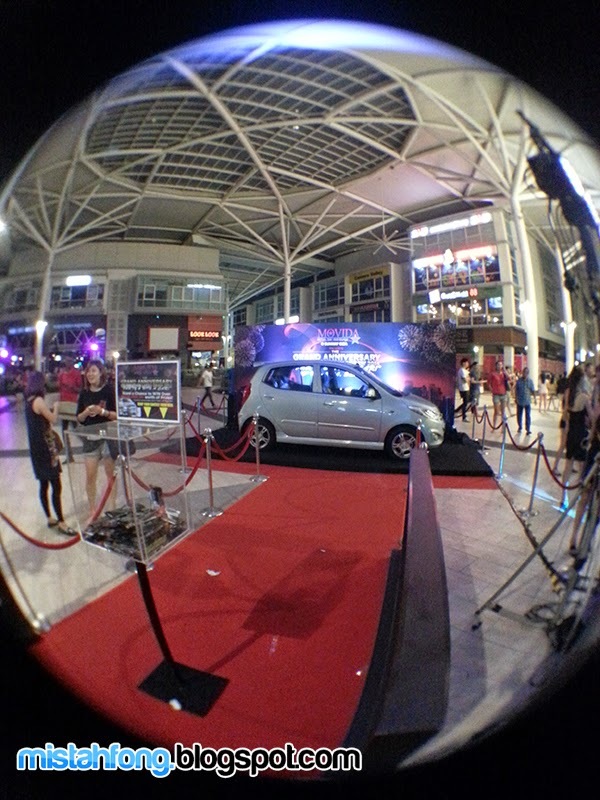 To reward its loyal customers for their support over the years, MOVIDA has organised mini lucky draws at its respective outlets in the Klang Valley in the past two weeks. 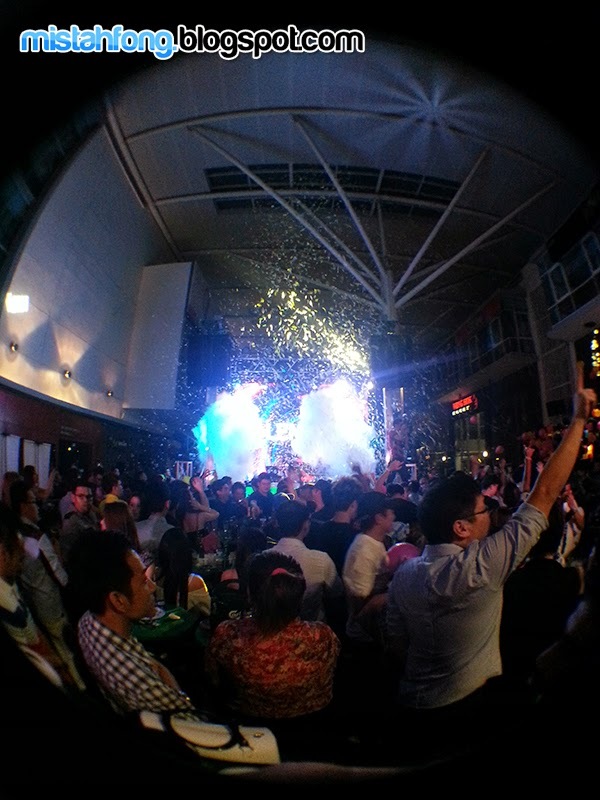 Patrons who bought any beer packages at MOVIDA outlets would be entitled an entry for the lucky draw. At each of the mini draw, two (2) iPhone 5s and three (3) iPad mini were given out, plus cash vouchers as well as a grand ticket for the grand lucky draw to win a brand new car. 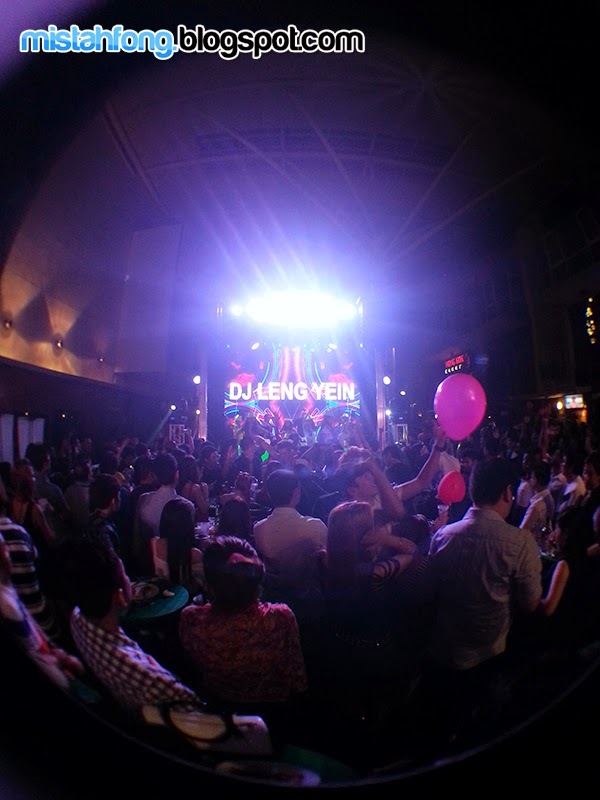 DJ Leng Yein on da deck !! 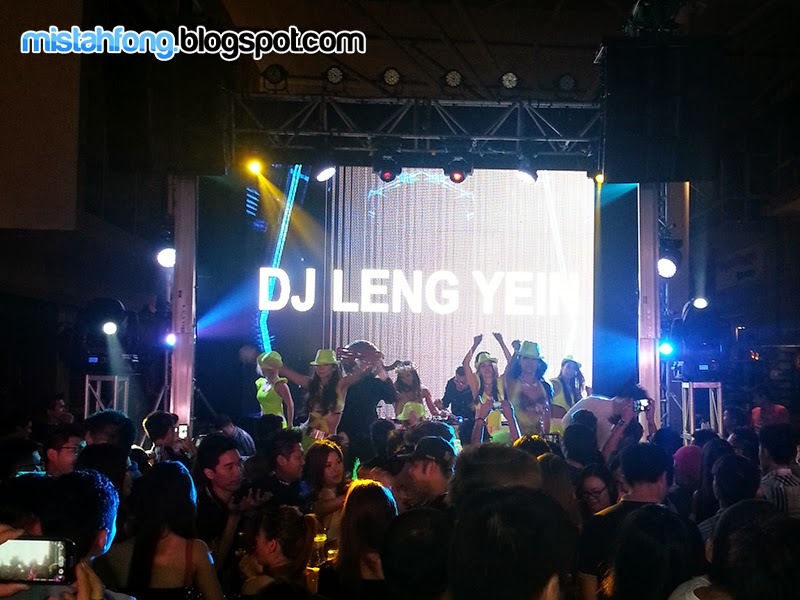 Besides the attractive prizes, patrons were also treated to a wide spread of international cuisines, plus an evening of glitz and glamour with popular DJ Leng Yein taking the music lead. Last but not least, in conjunction with the upcoming FIFA World Cup Championship in mid June, MOVIDA will introduce a brand new menu featuring a gastronomic dining experience yet at affordable pricing, which is its unique offering as the favourite neighbourhood hangout spot. The party never ends with MOVIDA and look out for another year of thrilling success as it offers more exciting promotions for consumers.